Depending on how well your dealership's service department is run, your car ownership experience has the potential for bliss or to be a never-ending nightmare. We've heard somebut there are plenty of automakers out there that strive to provide excellent customer service. Each year, JD Power ranks dealership service centers in its Customer Service Index study. The study measures maintenance and repair work on one to three-year-old vehicles and provides a numerical score based on quality, service initiation, service advisor, service facility, and vehicle pick-up. Here are the top-ranked brands for both the luxury and mass market segments in 2019. 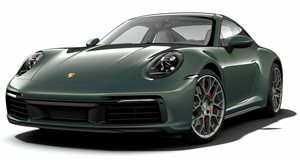 The luxury brands, ranked from highest to lowest, include Porsche, Lexus, Cadillac, Infiniti, Mercedes-Benz, Acura, Lincoln, Audi, BMW, Volvo, Jaguar, then Land Rover. On the mainstream side, the list includes Buick, Mini, Mitsubishi, Chevrolet, GMC, Toyota, Nissan, Volkswagen, Subaru, Kia, Hyundai, Honda, Ford, Mazda, Chrysler, Dodge Jeep, Ram, then Fiat. Alfa Romeo and Genesis are listed on the luxury index but are not ranked, and it's the same for Smart on the mainstream list. 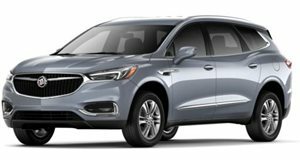 There aren't too many surprises here, though it is interesting to see Buick listed as the highest-ranked mainstream brand. We still think of Buick as a luxury brand. If the scoring for mainstream and luxury brands are measured equally, Buick's score of 857 would tie it with Audi on the luxury index. Along with the rankings, JD power also discovered how consumer preferences are changing in 2019. "For example, 34% of customers indicate they prefer to communicate via text message - but this only occurs 9% of the time," said Chris Sutton, Vice President, US Automotive Retail Practice at JD Power. The 57,286 owners and lessees in the survey also answered that they preferer to schedule appointments online, like to be in with their service advisor, and will promote their ownership experience to others if the experience was positive.